Hollander, Ron. All Aboard! The Story of Joshua Lionel Cowen & His Lionel Train Company. New York. Workman Pub. 1981. 253 pps. 4to. Soft cover. First edition. Illustrated in color and black & white. Fine copy. Hollingsworth, Brian. Atlas of the World's Railways. New York. Everest House Publishers. 1980. 343 pps. Octavo. Hardcover. First edition. Illustrated in black, white and color. Fine copy in fine dust jacket (in mylar). Hollingsworth, Brian. The Illustrated Encyclopedia of the World's Steam Passenger Locomotives. A Technical Directory of Major International Express Train Engines from the 1820s to the Present Day. New York. Crescent Books. 1982. 205 pps. Octavo. Hardcover. First edition. Illustrated in black, white and color. Fine copy in fine dust jacket (in mylar). Hollingsworth, J.B. The Atlas of the World's Railways. New York. Everest House. 1980. 350 pps. 4to. Hardcover. First edition. Illustrated in color and black & white. Fine copy in fine dust jacket (in mylar). Homstad, Carla. Cultural Landscape Report. Golden Spike National Historic Site. Box Elder County, Utah. Denver. National Park Service. 2000. 139 pps. + appendix. 4to. Soft cover. First edition. Illustrated. Folding plates. Fine copy. Horsfield, Brenda (ed). Steam Horse: Iron Road. London. British Broadcasting Corporation. nd. 112 pps. 4to. Hardcover. Illustrated. Fine copy in dust jacket (in mylar). Hosokawa, Bill. Old Man Thunder. Father of the Bullet Train. Denver. Sogo Way. 1997. 224 pps. Octavo. Hardcover. First edition. Illustrated. Fine copy in fine dust jacket (in mylar). Howard, Robert. 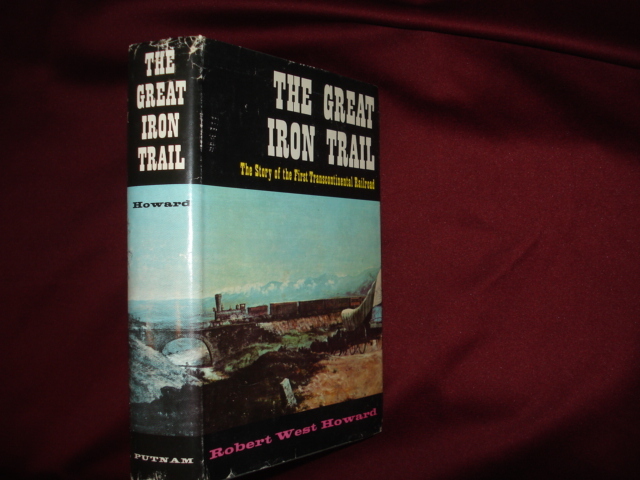 The Great Iron Trail. The Story of the First Trans Continental Railroad. New York. G.P. Putnam's Sons. 1962. 376 pps. Octavo. Hardcover. First edition. Illustrated. Fine copy in near fine (light shelf wear) dust jacket (in mylar). Hudson, F.K. 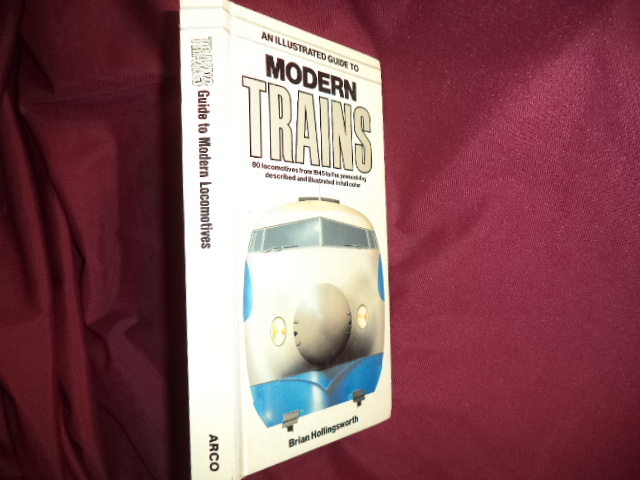 Rail Book Bibliography. 1948-1972. A Comprehensive Guide to the Most Important Railbooks, Publications and Reports. Cross-Indexed by Subject, Author, Title, Company, and Many Other Categories. Ocean. Specialty Press. 1972. 225 pps. Octavo. Soft cover. First edition. Fine copy. Hudson, F.K. Rail Book Bibliography. 1948-1972. A Comprehensive Guide to the Most Important Railbooks, Publications and Reports. Cross-Indexed by Subject, Author, Title, Company, and Many Other Categories. Ocean. Specialty Press. 1972. 225 pps. Octavo. Hardcover. First edition. Fine copy in very good (light shelf wear) dust jacket (in mylar). Hume, John. Steam Entertainment. London. David and Charles. 1974. 92 pps. Octavo. Hardcover. First edition. Illustrated. Fine copy in near fine dust jacket (in mylar). Hungerford, Edward. Daniel Willard Rides the Line. New York. G.P. Putnam's Sons. 1938. 301 pps. Octavo. Hardcover. First edition. Illustrated. Fine copy. Spine lightly cocked, frontis lightly foxed. Hungerford, Edward. Daniel Willard Rides the Line. New York. G.P. Putnam's Sons. 1938. 301 pps. Octavo. Hardcover. First edition. Illustrated. Fine copy (owner inscription) in very good (edge worn and chipped) dust jacket (in mylar). Hungerford, Edward. Pattern for a Railroad for Tomorrow. Milwaukee. Kalmbach Pub. 1960. 323 pps. Octavo. Hardcover. Limited edition. Illustrated. Near fine copy. Spine faded. Hungerford, John. Narrow Gauge to Silverton. Reseda. Hungerford Press. nd. 36 pps. Octavo. Soft cover. Reprint. Illustrated. Fine copy. Huxtable, Nils. Classic North American Steam. New York. Smithmark. 1990. 128 pps. 4to. Hardcover. Reprint. Illustrated. Fine copy in near fine dust jacket (in mylar). Huxtable, Nils. Classic North American Steam. New York. Smithmark. 1990. 128 pps. 4to. Hardcover. First edition. Illustrated. Fine copy in near fine dust jacket (in mylar).